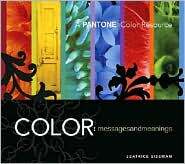 Leatrice Eiseman has been called "America’s color guru". As the head of the Eiseman Center for Color Information and Training as well as executive director of the Pantone Color Institute she has been quoted widely in publications as wide ranging as Vogue, People Magazine, and the Wall Street Journal and she has appeared on a variety of TV networks. Eiseman is also author of six books about color. 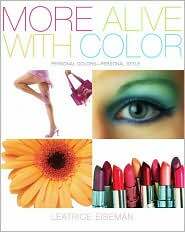 Among them are Colors for Your Every Mood (1998), which was a 'Book of the Month Club' selection; the Color Answer Book (2005); Color - Messages and Meanings (2006), and More Alive With Color: Personal Colors - Personal Style (2007). In this most recent book Eiseman introduces an easy-to-follow "Color Clock" system which allows readers to find colors that reflect their personal style and that can transform the way they look. One reader says about the book: "This latest entry in the color for people books written over the years is without a doubt the easiest and most sensible to date... No more choosing colors you don't like because they are the correct warm or cool shade! Anyone can wear pink, blue, green, purple, red, brown, - or whatever color you choose - as every color group has shades of every color in it! No longer are you told you cannot wear black as if it isn't your season! 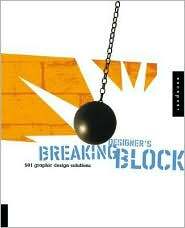 The only thing wrong with this book is that it didn't come out years ago!!!" For more information on all of Eiseman's books go to http://www.colorexpert.com/books.html and http://www.morealivewithcolor.com/.